In the following image, I have two browser windows open. On the left, a Google Sheet containing a simple table of data. In the right browser window, a web page with a d3 chart that displays the data from the Google Sheet and can be refreshed dynamically when the data changes. Why use Google Sheets as a data store? – it’s super convenient, because you can see and play with your data. – you can leverage Google Apps Script to build your web app and host everything, including the d3 chart web page, on Google’s servers for free. It starts with the Google Sheet that stores our data. That part is easy and self-explanatory. – the app has a “Refresh” button to pull in new data. Note all of this code lives in the container-bound Apps Script project attached to the Google Sheet. 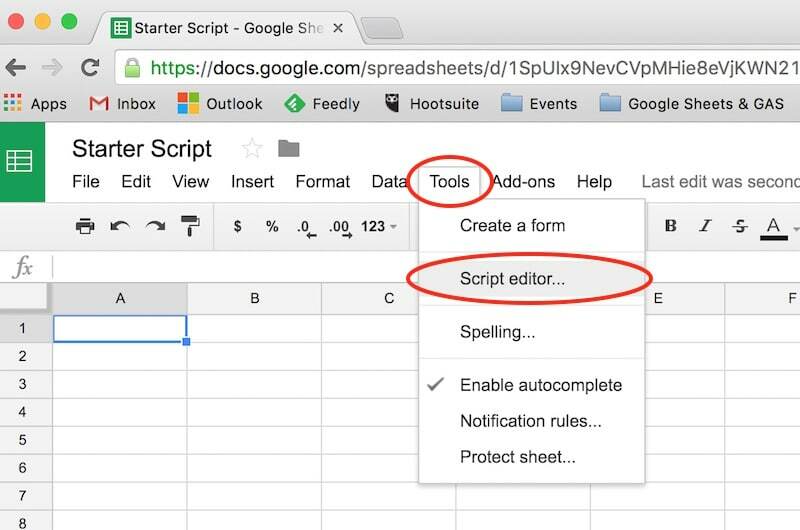 The last step is to publish as a web app, and grant permission for the app to access your Google Sheet. The XXXXXXXXX reference will need to be swapped out to the ID of your spreadsheet (find that in the URL). 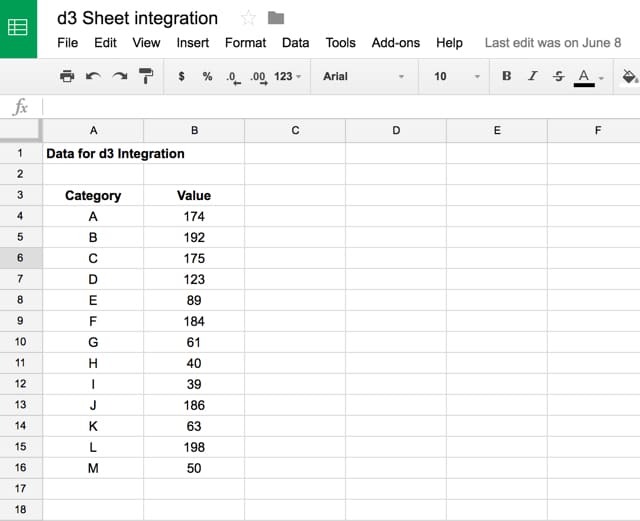 This script gets the headings and an array of the values from the Google Sheet, using the getRange method. Then a nested loop pushes the headings/values into objects and into an array. and the index.html file, which is what gets published as the web app. This file is loaded when the index file is loaded. 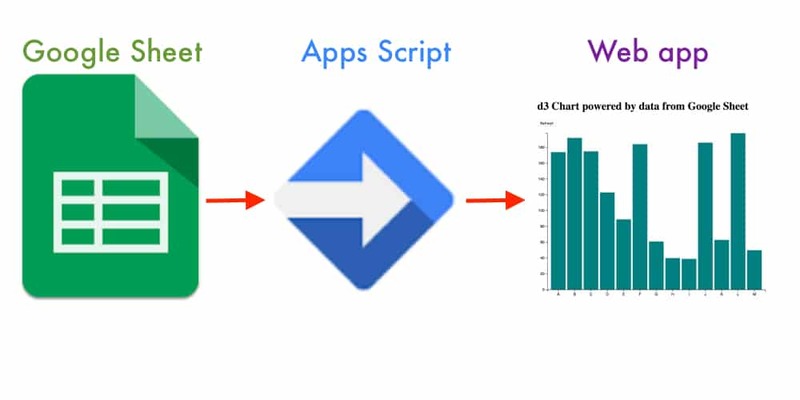 google.script.run calls the server side Apps Script function getChartData (to get the data from the Google Sheet) and, if successful, passes that data to the drawChart function. For the full code, see the repo here on Github. I also added some basic styling from the styles.css.html file. This fantastic book, Interactive Data Visualization for the Web, from Scott Murray is a great place to start learning d3. Thanks Byron and a great suggestion! Great job!! Do you know how to plot two data columns? It’s good practice to use flexible, dynamic coordinates, heights, widths, x values, and y values so your visualization can scale appropriately along with your data. Thanks for this insightful walkthrough Ben! Very helpful in getting me off the ground in setting up some custom charts from google sheets. I wasn’t aware of the ability to get a web app up and running through the editor, real cool. Hi: Great example, got almost all the way through. Alas only drew one bar. Is there a link to a community? Thanks Ben. How would this code change if using chart.js instead? I replaced getActiveSheet() with var sheet = ss.getSheetByName(“SheetName”); to try to get a particular sheet in a spreadsheet. This doesn’t work, any other way to get data from a particular sheet? This particular sheet has a pivot table.